It’s 1969 and a remote coastal town in Western Australia is poised to play a pivotal part in the moon landing. Perched on the red dunes of its outskirts looms the great Dish: a relay for messages between Apollo 11 and Houston, Texas. Crouched around a single grainy set, radar technician Evan Johnson and his colleagues stare at the screen, transfixed, as Armstrong takes that first small step. 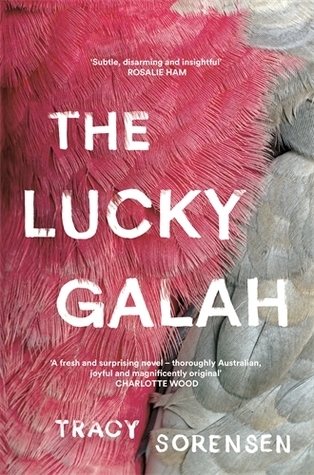 The Lucky Galah is a novel about fate. About Australia. About what it means to be human. It just happens to be narrated by a galah called Lucky. The Johnson’s moved into a home two down from the Kelly family. The children would become great friends – Marjorie and Linda became unlikely friends. Enter “Cocky” when Kevin Kelly acquired the galah as a pet for his children. Caged and untended, Lucky began her narration of the life and perks of her humans and own flock high above. And Lucky discovered her communication with the Dish – something all galahs were able to do apparently. What a quirky, original and fascinating novel by debut writer Tracy Sorensen! The Lucky Galah captivated me from the start to the finish with its complete difference. I loved Lucky as we discovered her (yes she’s a female!) life story from tiny chick to how she became part of Lizzie’s life. Highly recommended – 4 stars. With thanks to Pan Macmillan AU for my ARC to read and review. 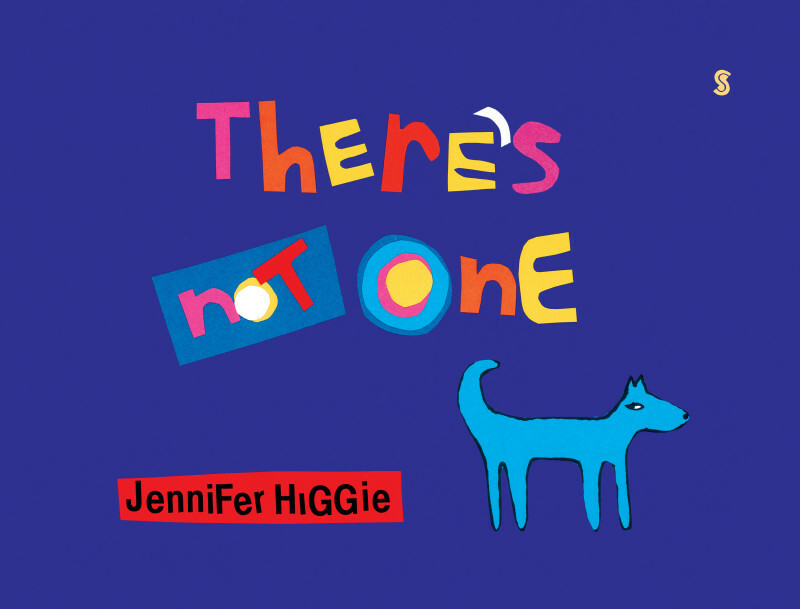 This joyous debut from Jennifer Higgie celebrates the details and diversity of the world around us. In kaleidoscopic colour, Higgie takes young readers on a journey from some of life’s most important things (baked beans!) to some of life’s biggest wonders (stars!). 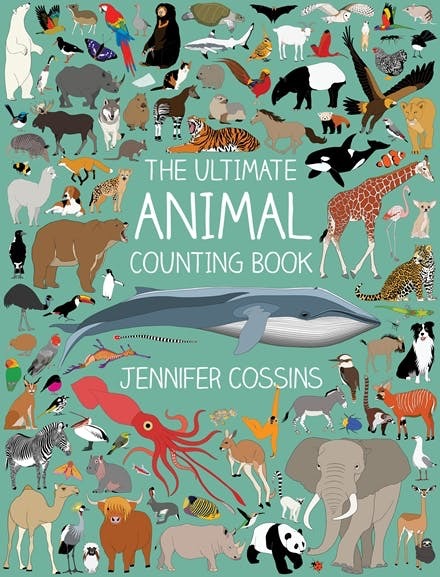 The perfect early picture book for the curious kid! Colourful, modern, and full of unique and inspiring messages and quirky images. This is the story of Louis, who never quite fitted in, and of his younger brother who always tagged along. Two brothers on one final journey together, wading through the stuff that is thicker than water. 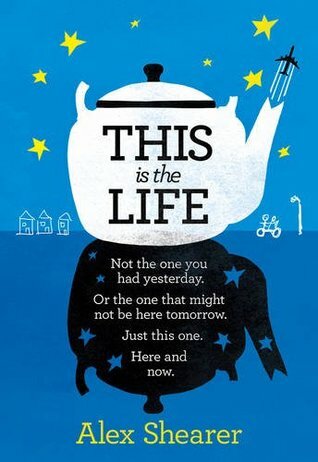 Tender-hearted, at times achingly funny, This is the Life is a moving testimony to both the resilience of the human spirit and to the price of strawberries. Never a more relevant word was spoken – this is the life we have, right now, not tomorrow, or yesterday or…someday. Life is right now and we should be doing our best to live our life fully and be the best we can be. Don’t wait for a life sentence to wake up and see what is happening around you, participate…now. This is a very quirky book written with great insight (some ideas I didn’t really appreciate until after I had finished the book and had time to let the observations settle and permeate my brain) others I silently nodded my head in a agreement as I read, or read out loud to my partner so he too could appreciate the nuances of this narrative. This book resonated with me, I discovered people I knew in this narrative, people who had the same quirks, the same opinions, the same diagnosis – life and for death surround us – but some chose to start dying prematurely, before the sentence has been revealed (and I want to shake them and say “wake up, don’t just exist… you are worth it, eat strawberries if you want to”). Quirky. At times hilarious. Always poignant. Reflective. Inspiring. 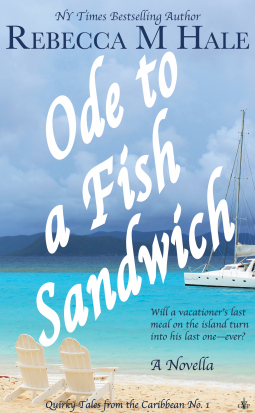 From NY Times best selling author Rebecca M. Hale, a novella about a diligent dermatologist traveling solo on his Caribbean honeymoon, a surly chef working the counter at a beachside diner, and, of course, a fish sandwich. Recently jilted at the altar, Dr. Walcott Emerson Jones decides to set off on his honeymoon without his runaway bride. An adventurous week on a remote Caribbean island is just what the sun-averse dermatologist needs to mend his broken heart. Along the way, he braves a creepy cane field, tracks a grief-stricken fisherman up the side of a volcano, and befriends a chef at the local beachside diner. But the calculating cook has broader ambitions than spending the rest of her life serving up fish sandwiches, and the spurned diamond ring hanging from the doctor’s neck is a prize too tempting to resist. Will the vacationer’s last meal on the island turn into his last meal – ever? A story about a man, a fish, and the daily special. If you like quirky and the slightly bizarre then this novella is for you. Hale provides some very beautiful settings, the locations are picture book idyllic; romantic tropical island, beautiful luxury resort and even more stunning local beaches and a fish shack on the water front that makes the most incredible and delicious freshest fish sandwiches. Add to this setting a dermatologist afraid of the sun that has just been dumped by his bride to be and a tuna in love with the doctor, and a cast of local desperate and murderous people and you have a very interesting and somewhat strange story this is unlike anything I have ever read.